Most pet parents are aware of health hazards like rabies and tick fever that can harm their dogs. But some even more terrible health problems lurk inside your dog. For example, about 10 percent of all dogs have some form of heart disease and chances grow to a whopping 75 percent of senior dogs experiencing some form of heart disease. 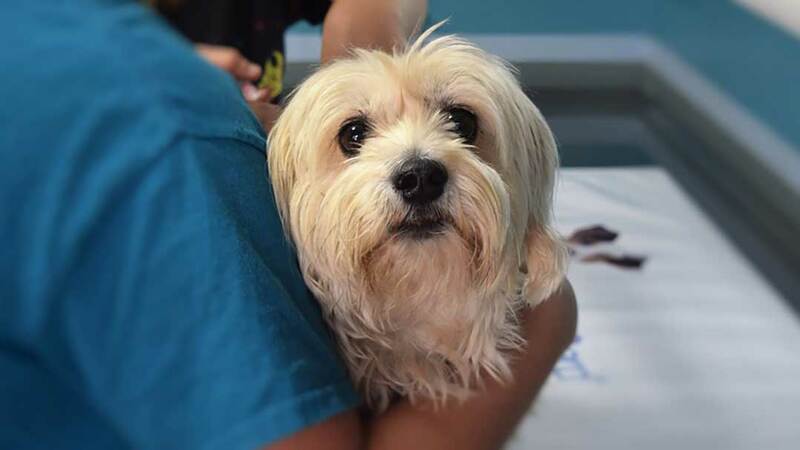 Canine congestive heart failure (CHF), a type of heart disease, is a term referring to the heart’s inability to pump an adequate blood supply to the body. By the time dogs become symptomatic with cardiomyopathy and congestive heart failure, they rarely live beyond a year. Don’t wait for symptoms of congestive heart failure, take your dog to the vet regularly to get them checked. After running tests, your vet might feel that your dog is at risk of congestive heart failure and recommend Vetmedin, which is a common drug that can be prescribed to dogs that are at risk of congestive heart failure or are recovering from it. Before you start dosing your dog, it is important to know more about this commonly prescribed drug. 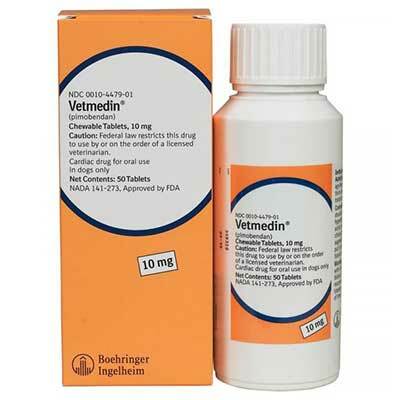 Vetmedin is the common name of Pimobendan drug, which is a type of inodilator. Pimobendan dilates the blood vessels allowing the blood flow to remain uninhibited in your dog’s cardiovascular system. 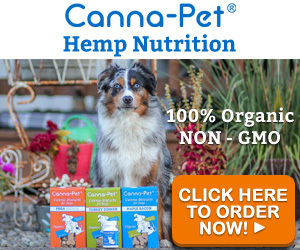 By allowing the blood flow to remain uninhibited, your dog’s heart remains stress-free. In other words, Vetmedin for dogs enables your dog’s heart to pump blood at a normal rate since the blood vessels remain clear. Why Does Your Dog Need Vetmedin? There are several known causes of congestive heart failure in dogs (defects in the heart walls, heartworm disease, increased blood pressure, tumors, etc.) and while some breeds are more susceptible to the disease (boxers, dobermans, cocker spaniels), many dogs fall victim to the disease due to neglect. A healthy diet and regular exercise can help keep your dog’s heart healthy. Heartworm treatment is also essential to prevent the parasite from causing heart problems. If your dog’s heart is not healthy, for whatever reason, your vet may recommend Vetmedin. Dogs suffering from heartworms, blocked blood vessels, and/or high blood pressure all benefit from taking the drug as prescribed by the vet. What Are the Side-effects of Vetmedin for Dogs? Most dogs show mild side-effects. If your dog shows extreme reactions to the medicine, then rush your dog to the vet and stop the medication immediately. How Much Vetmedin Can You Give Your Dog? Your dog can take one dose of Vetmedin for dogs once every 12 hours. The dosage amount needs to be according to your vet’s recommendation. If you forget to give a dose, don’t try to make up for the missed doses all at once. It is okay to skip a dose, but giving your dog multiple doses together can lead to an overdose. 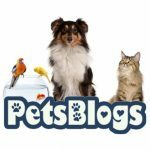 Where Can You Buy Vetmedin for Dogs? Vetmedin is not an over-the-counter pet med. To buy Vetmedin for dogs, you need to have a prescription. 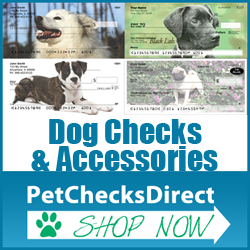 You can purchase it online from pet med stores. Animal pharmacies might also stock Pimobendan under different names. If you cannot find Vetmedin, ask your vet for an alternative suggestion, do not try to give your dog any human inodilators! Talk to your vet about Vetmedin before administering it to your dog.